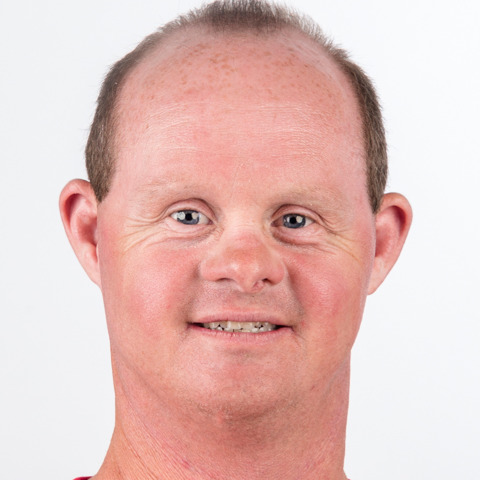 Lee Scharf joined Special Olympics Florida at age 10 and has participated in multiple sports including swimming, bowling, basketball, surfing, soccer, and paddle board. When Lee isn't playing sports he loves to help others and works at Publix as a clerk. Lee is proud to be chosen for Special Olympics World Games Abu Dhabi 2019 and has been to the prior World Games in Shanghai and USA Games in Iowa. Lee spends his time preparing for the Games in Abu Dhabi by practicing swimming in the ocean near where he lives. He hopes to make his family proud as they always give him support.